Tristate Business Insurance is your agency to insure all of your beach and/or coastal properties in VA, MD, DC, and Delaware (DE). Whether this property is a vacation home, or rental property, we can provide you with the coverage you need. Our carriers provide coverage for beach homes right up to the water. 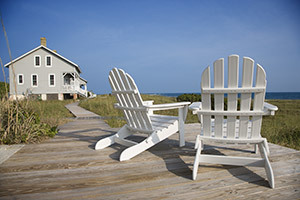 We provide coverage for single family beach homes and condos. These properties can be occupied, vacant, under renovation, or rented out. We also have A-Rated carriers that provide coverage for owners who have endured previous claims or credit issues. TriState Business Insurance can provide you a coastal home policy, regardless of home value. Our group of carriers provide policies for one bedroom condo's to homes over $1,000,000.